I am starting this thread because the developer has added his program QOwnNotes to the database without introducing at in the forum and thus it would most likely remain unnoticed. 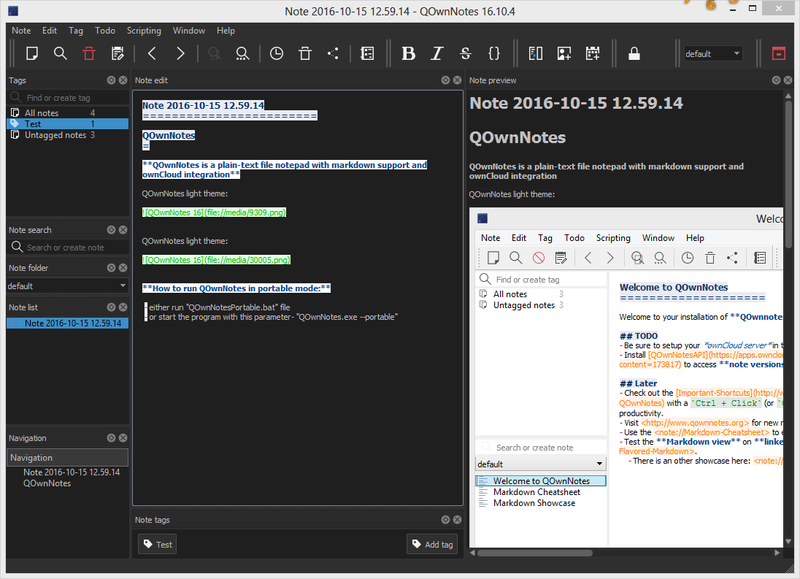 QOwnNotes is the open source (GPL) plain-text file notepad with markdown support and todo list manager for GNU/Linux, Mac OS X and Windows, that (optionally) works together with the notes application of ownCloud (or Nextcloud). 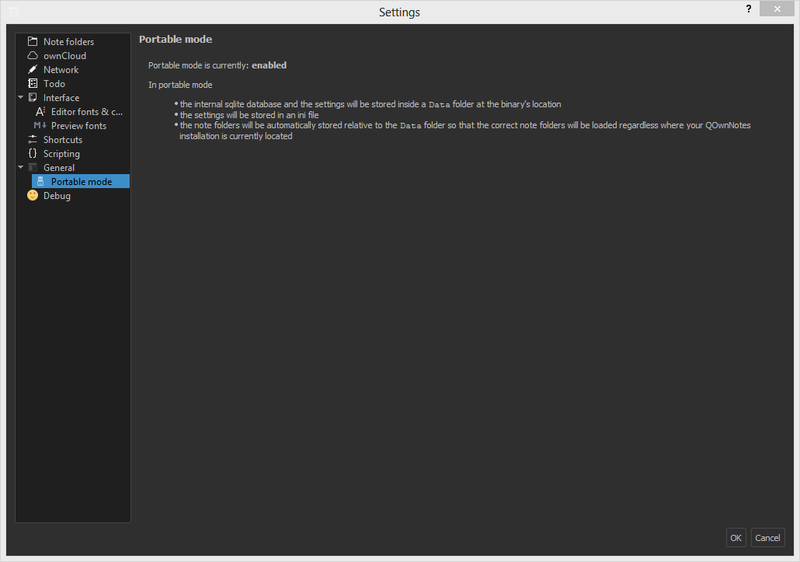 Data and settings will be automatically saved in Data sub-folder inside program folder. QOwnNotes is licensed under GNU General Public License, version 2. Portability has been discussed here and our forum member shnbwmn has contributed to the implementation of portable mode with ideas and suggestions, thanks. The developer, pbek (Patrizio Bekerle) has created Markdown Cheatsheet page. Thanks for that. I've updated the post based on your very thorough analysis. Another outline editor / note taker program similar to QOwnNotes: Leanote ... Also markdown-capable and open source but unfortunately it requires signing up for an account, which sort of throws it out of contention for addition to the site. Still, the mobile capabilities and collaboration tools might make it useful to someone. Isn't QOwnNotes Electron-based like so many alternatives? Midas wrote: Isn't QOwnNotes Electron-based like so many alternatives? I think it is not Electron-based but Qt-based (thank goodness)- correct me if I am wrong. Even the size of the program alludes to Qt, Electron is a pig. Last time I tested Leanote it was not portable. smaragdus wrote: I think it is not Electron-based but Qt-based (thank goodness) -- correct me if I am wrong. Even the size of the program alludes to Qt, Electron is a pig. You were absolutely right, no Electron in sight -- took me some time but I finally got around to testing QOwnNotes. And let me tell you that I'm highly impressed. It climbed to the top places of my Markdown editors list, that's for sure. I just wish menus and toolbar icons would be a little more standard -- but given that it's a multi-platform program it's totally understandable why they're not. Current QOwnNotes release is build 18.11.6 (changelog at github.com/pbek/QOwnNotes/blob/develop/CHANGELOG.md).